Crown Prince Mohammed bin Salman of Saudi Arabia, shown during a meeting with President Trump at the White House in March. Nobody expected a diplomatic war between Saudi Arabia and Canada. Even the most attentive observers looked up in surprise earlier this week when Riyadh furiously began to chop at anything that connected it with Ottawa. The Saudi government declared the Canadian ambassador persona non grata and gave him 24 hours to leave the country and then recalled its own ambassador. They ordered Saudi students and medical patients to leave Canada and cancelled all flights between the two countries. And, the kingdom announced, all future trade was now frozen. How did Ottawa light this little bonfire of Saudi rage? All it took was one small tweet — the Canadian foreign ministry simply urged the Saudis to release recently arrested human rights activists. To be fair, Canada has been mildly critical of Saudi abuses for years. And the current liberal government of Justin Trudeau had turned the volume up, but only slightly. Nonetheless, it appeared to be one tweet too far for the kingdom. In response, Canada did not retaliate but rather shrugged. Saudi Arabia’s visibility on the international landscape actually belies its relatively minor importance. It has an economy the size of Holland, and its diplomatic influence is mostly regional. Riyadh could try and undermine Ottawa’s ongoing campaign for a United Nations Security Council seat, but the brouhaha could also burnish Canada’s human rights bona fides among other voting nations. As diplomatic incidents go, this is a curious one, and not especially important. But the sudden flare-up has illuminated two genuinely interesting and deeply consequential changes to the international system that do merit attention. Saudi Arabia’s newest leader is throwing his weight around, but what if his country can’t be reformed? Read: What’s behind the rift with Qatar? In international diplomacy, the loudest voices are usually the weakest. Strong and stable nations rarely find it necessary to shout, and agitated threats almost always come from agitated countries. 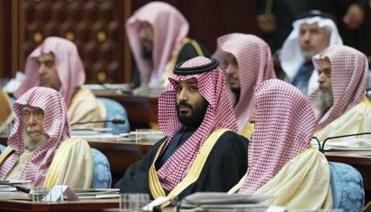 In this case, Saudi Arabia’s international wrath reveals deep anxieties about its own domestic situation. The Saudi economy, which once printed petro-dollars at will, shrank last year — the third significant downturn in the last two decades. Half of the workforce is foreign labor, and a recent levy has led to their departure by the thousands while inadequately trained Saudi labor is unable to fill the gap. Nonetheless, youth unemployment sits at 30 percent, and the rate of youth entering the workforce continues to outpace the rate of job creation. Meanwhile, climate change fears combined with massive clean-tech investment are threatening the long-term viability of oil-dependent economies like Saudi Arabia’s. 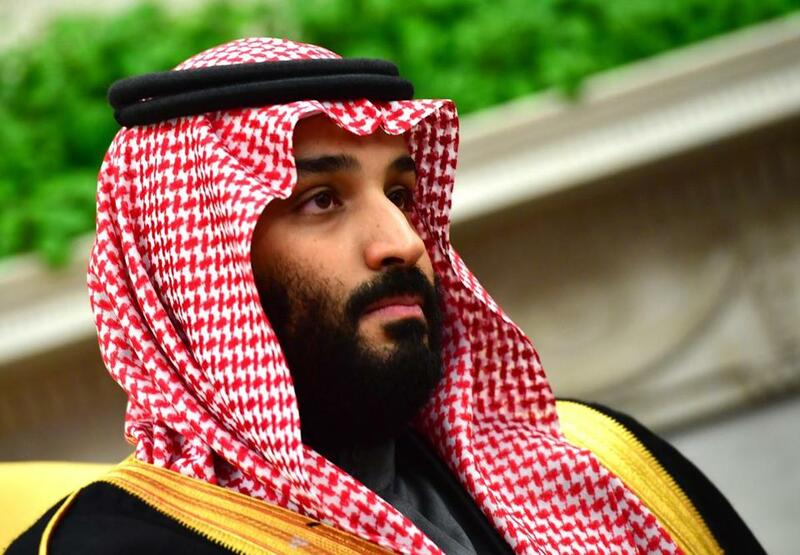 For Crown Prince Mohammed bin Salman, King Salman’s son and the de facto leader of the country, these economic woes add another element of instability to an already precarious political balancing act. He has been aggressively consolidating his power base — as demonstrated by the dramatic arrest of several other members of the royal family last year — while also trying to wean the people off a vast and no longer affordable welfare state. And the prince is trying to limit the power of clerics and other elements of civil society with arrests and intimidation, while also trying to implement tentative reforms (such as allowing women to drive) to relieve growing internal pressure for the socially conservative nation to catch up with the mainstream of the 21st century. Meanwhile, the country is bogged down in a bloody and increasingly criticized war in Yemen. In this light, the sudden diplomatic fury at Canada makes more sense. The Saudi government is in such an unprecedented and precarious position that it simply cannot manage any additional pressure from overseas. Prince Salman is sitting on a powder keg and simply can’t afford for countries like Canada to wave around even small matches. Which is why the kingdom also cut ties with Germany last year after being criticized for meddling in Lebanon; and why they gave Sweden a similar treatment before that. The other interesting development illuminated by the Saudi-Canadian conflict is the dramatic changes to the western alliance. Until the election of President Trump, the G-7, NATO, and the especially close cooperation of the “Five Eyes” (Australia, Canada, New Zealand, the United Kingdom, and the United States) defined and stabilized the global balance of power. But Trump’s relentless attacks on traditional allies and his efforts to court repressive regimes like Russia and Saudi Arabia have changed everything. Three years ago, the United States would have automatically echoed Canada’s criticism of human rights abuses in the kingdom. Now, it is silent. And even more remarkably, when asked to comment on a dispute between a nation that immediately ran to America’s aid after the 9/11 attacks and the nation whose citizens masterminded and carried out those attacks, the State Department simply washed its hands of the dispute. This official indifference, a seemingly small diplomatic detail, is in fact a striking departure from decades of close western cooperation and mutual support. Things are not what they have been. Over the course of the last two years, the international order has shifted more than at any point since the end of the Cold War. And global economic and demographic trends are altering power structures in countries that once seemed stable and unchangeable. It’s a new world, one where countries as seemingly disconnected as Saudi Arabia and Canada can find themselves suddenly in conflict, and where once-close allies can find themselves suddenly alone.